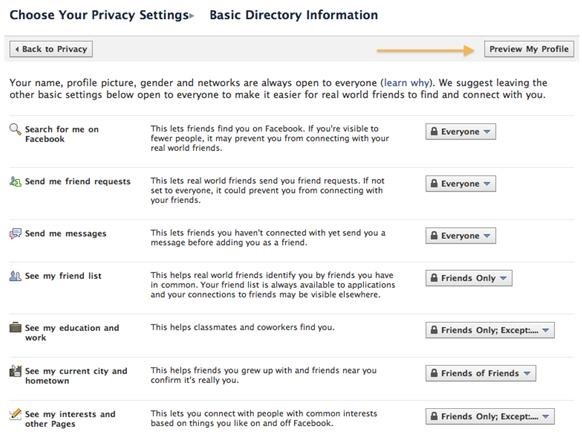 You could read through Facebooks Privacy Guide, but I found it a little confusing and a lot of people have been asking me for specific settings. 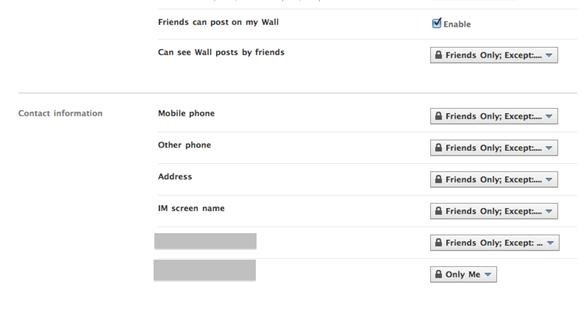 SO here are some screenshots of the privacy settings so you can find where everything is located really easily! 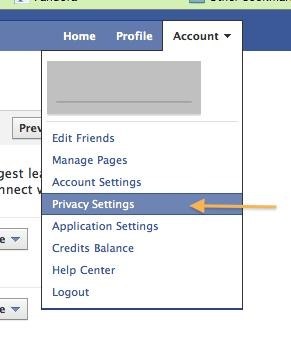 Click privacy settings in the upper right corner from the Account tab. Type in your friends name to see what they can see on your profile. Select your custom settings then Preview My Profile to make sure it does what you want. Some things to consider very carefully here!!! Do you want the whole world to see your family members? This could give away 'mothers maiden name' if you've connected with your mom/child. I set this to only me, or to my 'family' list. Edit album privacy for each photo album. 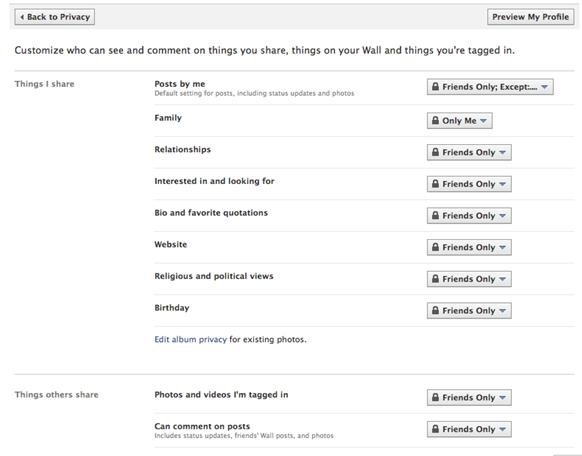 I made sure to set any photos of children to 'friends only' or an even more refined list to keep them safe. I set all my pictures of cats and flowers to everyone. Contact Information: this shows you phone number, address, email address. I never entered in the first two phone numbers, my address is for 'family' only, and I have my email address blocked for 'limited profile' list and anyone else I don't really want to contact me. Set up lists under Account, Edit Friends. You can Remove unwanted applications here if you'd like. Make sure you check to see what your friends can share about you! I enabled my Instant Personalization because I like it, but you should check it out and decide for yourself. As you can see, I've set it so my friends can't share ANY of my information with applications, games and websites. If someone is bothering you, or you just don't want them to be able to see your profile at all, you can add them to the Block List. You can do this for applications you do not wish to get notified from as well. 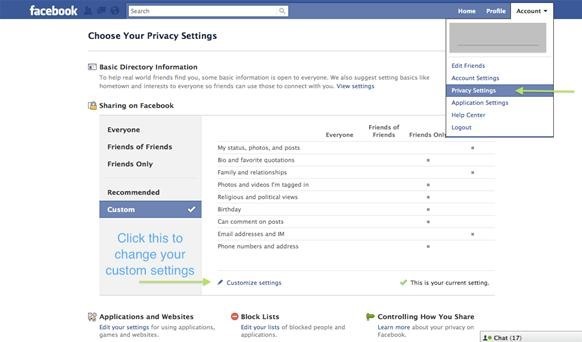 You can navigate to the Block List in your privacy settings to unblock people and applications if you blocked them on accident or change your mind later! That's it for the most part! 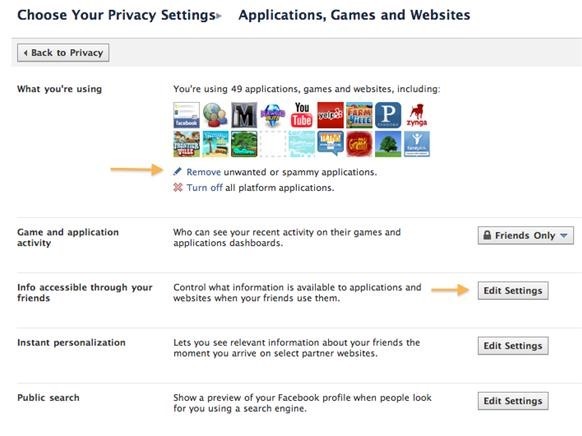 Facebook's Privacy Guide is the 'Controlling How You Share' link on the bottom right corner of the Privacy page. 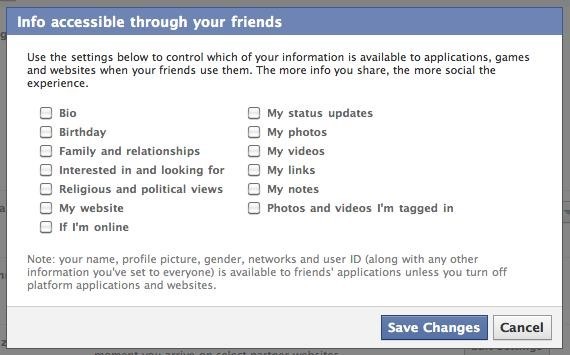 Also be sure to look at your Account settings and Application settings to control what you share! Thank you, Katie - Great tips, very professionally done. Good job! It's going to take me awhile to figure it all out.